Could a Pradaxa reversal agent be approved soon? Great news may be just around the corner – great news for everyone. According to the results of an early trial presented this week, researchers may have identified a reversal agent for Pradaxa. Although not yet approved, a study was conducted in which men were given this medication for four days, then provided with an IV drip containing either the potential new reversal agent or a placebo. Those receiving the new antidote had a complete reversal of Pradaxa’s anti-coagulation effects following a five-minute infusion of the agent. This is huge. Many thought Pradaxa would almost completely replace Warafin (Coumadin). It was being promoted as a superior alternative to warfarin for stroke prevention, as it was easier to take and required less medical monitoring. The problem? The effects of Warfarin were easily counteracted by administration of vitamin K, whereas Pradaxa had no known reversal agent. There was no way to control bleeding that may have unexpectedly occurred following emergencies such as trauma or emergency surgery. Lawsuits have been filed alleging exactly this – the drug caused excessive bleedings without warning cause serious injuries and the deaths of many innocent people. 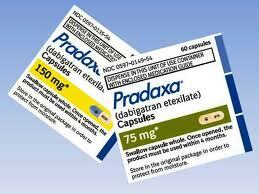 Pradaxa came under fire in December 2011 when the FDA first announced a safety review of the drug. Pradaxa, a blood thinner used by patients with atrial fibrillation or irregular heartbeats, was receiving an inordinate number of adverse drug reports. During 2011, the FDA received at least 3,781 reports involving serious injuries associated with the use of Pradaxa which included 2,367 reports of hemorrhage and 542 deaths. In 2012, reports were down, but deaths were up. At least 3,292 adverse reports were received including at least 582 deaths. Boehringer Ingelheim, the maker of Pradaxa, has not indicated when the reversal agent may become available, but this may have a huge impact on sales for the company. Even with the concern of uncontrollable bleeding, the company saw $1.43 billion in sales last year. While this is great news for the drugmaker, it is also pretty great news for Plaintiffs involved in the Pradaxa lawsuits, currently more than 1,500 strong. The recent findings of a possible reversal agent will likely reinforce Plaintiffs’ claims that Boehringer Ingelheim failed to adequately research the medication before introducing it. The complaints, filed by or on behalf of individuals who suffered severe and sometimes fatal injuries after doctors were unable to reverse the effects of the mediation, allege that Boehringer Ingelheim failed to adequately warn about the risk of uncontrollable bleeding or the lack of an antidote to reverse the side effects of Pradaxa. A handful of Pradaxa cases are currently being prepared for early trial dates, expected to begin as early as August 2014. Pradaxa Claims Easier to Settle Now? Not to subordinate what may be an important medical breakthrough that might have great implications for patients moving forward, my job here is to provide legal commentary. One big problem drug makers have is settling mass tort cases when the product is still on the market. On some level, it just invites more claims. This development might make it easier psychologically and economically for Boehringer Ingelheim to make this right and get these claims resolved. If you or a loved one has been prescribed Pradaxa and has experienced problems with bleeding or hemorrhaging, contact our attorneys at 800.553.8082 or online here.